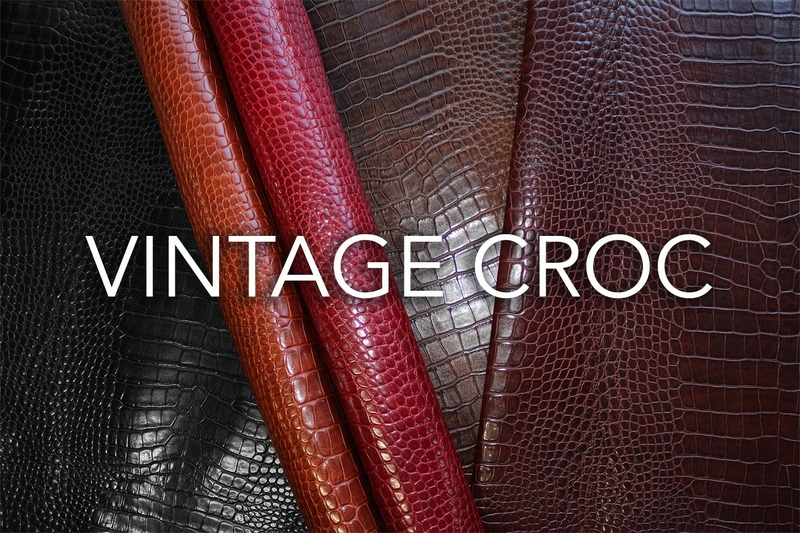 Simply our original Vintage article with a deep imitation croc embossment. This embossment gives a firmer handle than the classic vintage. Further colours available on request. When you think of Vintage you think those classic Italian chestnut coloured handbags and briefcases.... then move forward to these exciting colours and further still to tablets and smart phone covers, journals and man bags. You name it, this leather will apply to it. High quality, vegetable tanned crusted, squared shoulders are hand padded with aniline dyestuffs before a final glazing reveals that wonderful ‘looking into the bottom of a rock pool’ appearance that makes the true aniline antique finish.